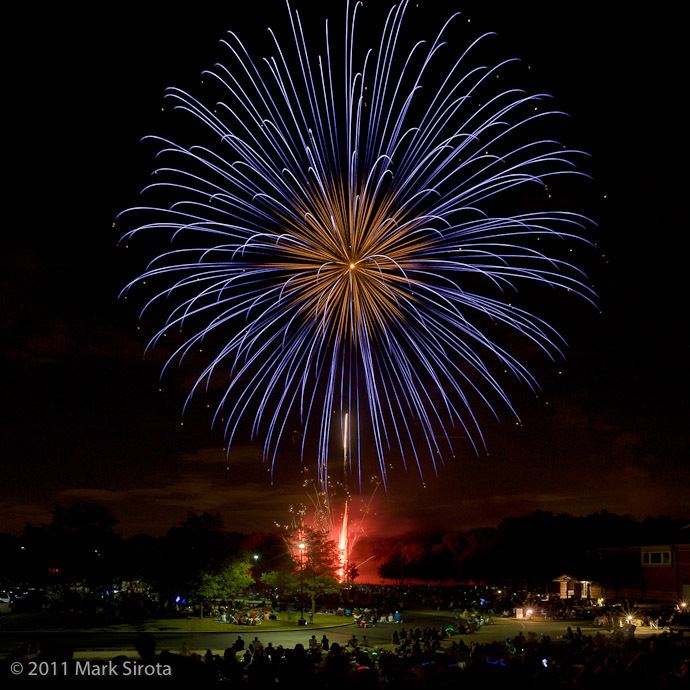 Internet acquaintance and Lightroom guru Mark Sirota recently posted a few of the most amazing fireworks shots I've ever seen, with a smooth richness that's just unearthly. The one shown above is his favorite, but I've got to say that mine would be the first or second in the slideshow. Thanks so much, Jeffrey! It looks like your blog is worth a bit of traffic! I found it interesting that you disagreed with my favorite enough to comment on it, so I thought that now that the traffic has settled down a bit we could take a look and see what others thought. Looking at “favorites” on Flickr and “votes” on 500px (which I’ve just started experimenting with), turns out it’s pretty hard to tell. Thanks again for the recognition. I realize you don’t often feature other people’s work on your blog, and I’m very honored! The one above reminds me of the “spider” chrysanthemums that are very popular in Japan and elsewhere – only this is more attractive !